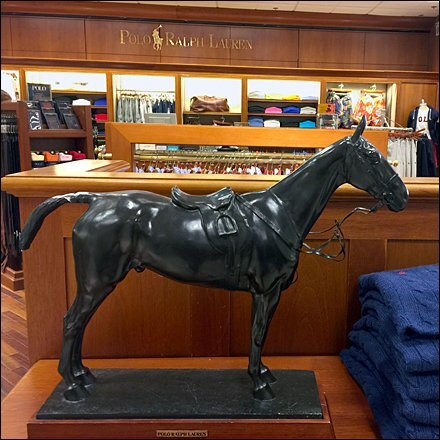 The Polo® name is famous, and Ralph Lauren calls it to mind with branding many times in various ways. 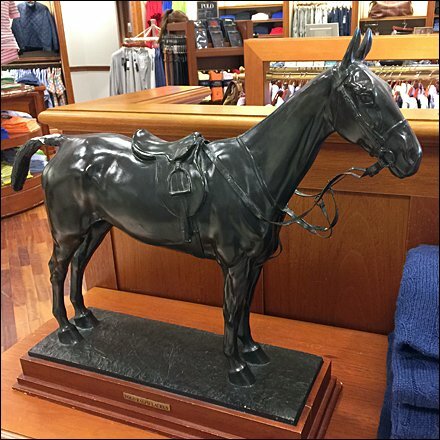 This Equidae Ralph Lauren Polo Pony Branding art form is one, but to my eye that is more of a horse racing saddle than polo pony outfitting. But even the detailed eye of FixturesCloseUp took quite a while to notice. 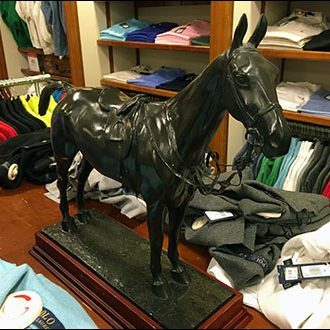 Meanwhile see that both the department and horse statue are branded Polo Ralph Lauren®. So the point is made regardless.